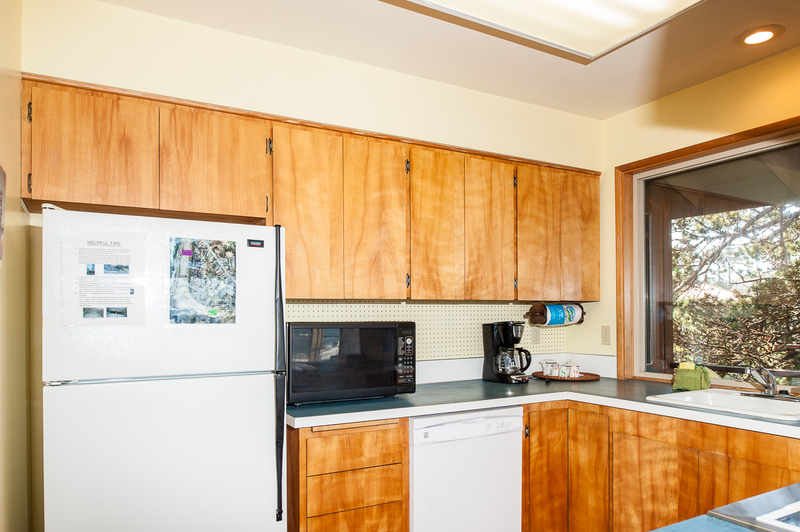 Welcome to Ridgetop, your home away from home! 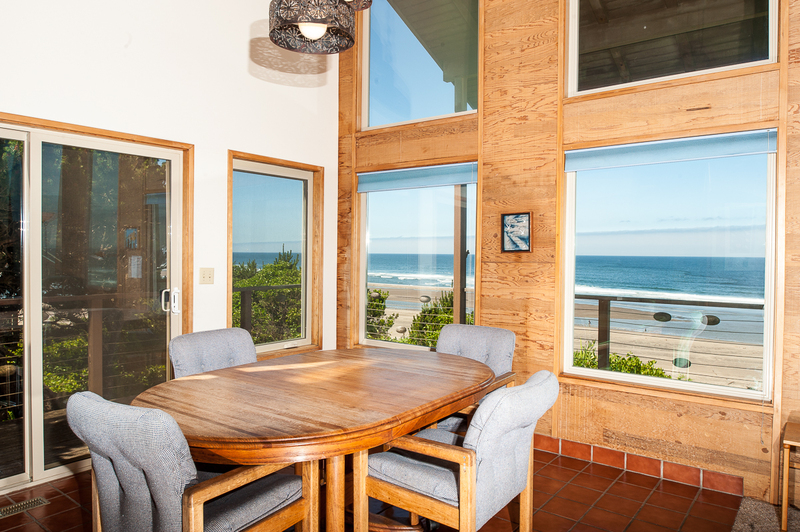 Located in Lincoln City, this beautiful oceanfront home is perfect for you, five guests, and two of your favorite four legged friends, with three bedrooms and two and a half bathrooms! 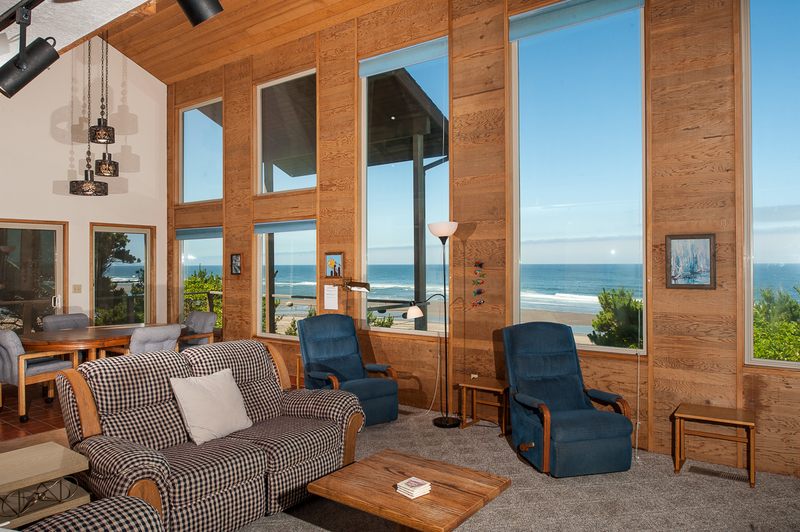 This rustic home offers incredible views off of the large personal deck, where you and your family can kick up your feet and watch the waves crash against the shore or catch a gorgeous Oregon coast sunset! This three story home offers you and your guests space to be apart and plenty of room to come together, whichever you're in the mood for! On the main level of the home, you'll find a comfortable living room with couches, chairs, a tv, and even a fireplace for those cold winter days! The deck can be accessed from the living room area. In the dining area, you'll find a fully functional kitchen with a dining room table with more than enough seating. 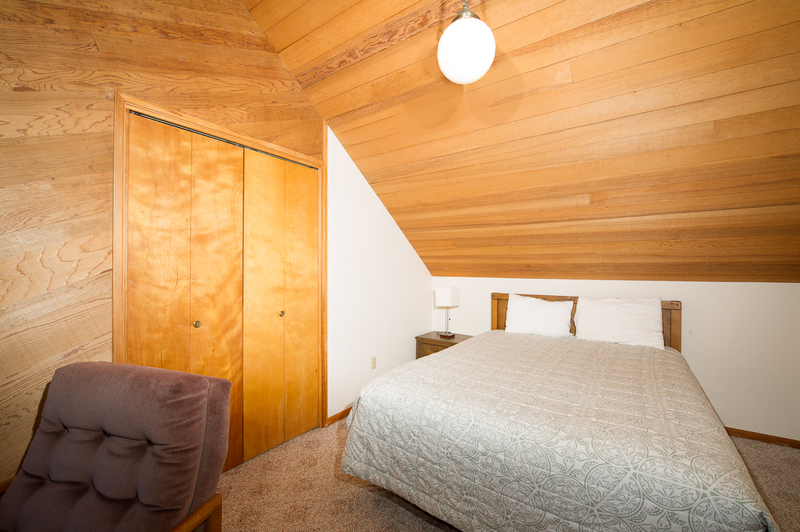 The master bedroom can also be found on this floor, with a queen size bed and a personal bathroom with a tub and shower combo. 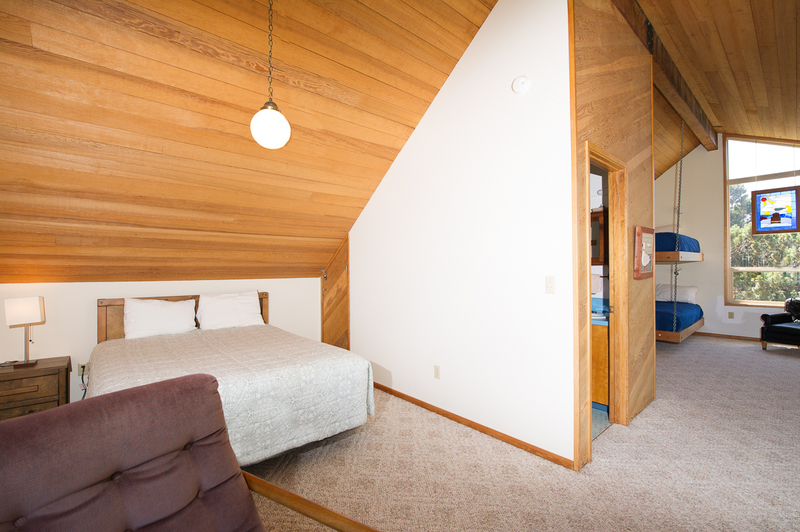 Travel upstairs to the top floor and you'll find an open loft area along with the other two bedrooms. 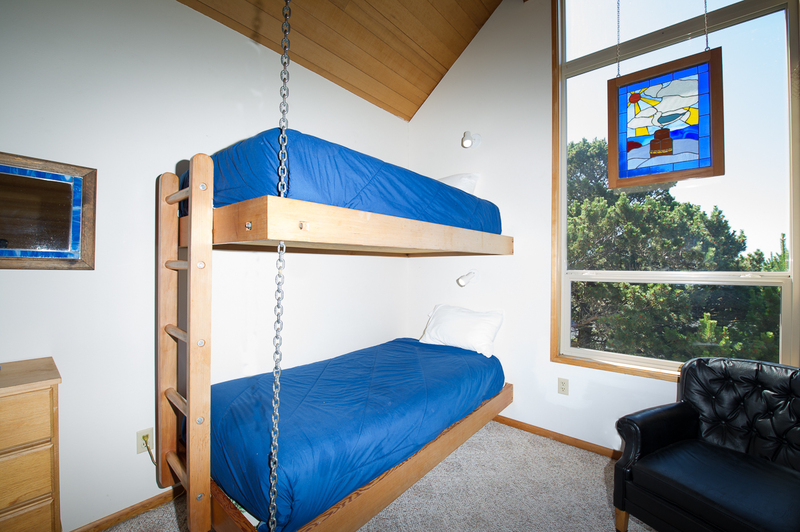 One bedroom is perfect for the kids, complete with a set of bunk beds, while the third bedroom contains another queen size bed. 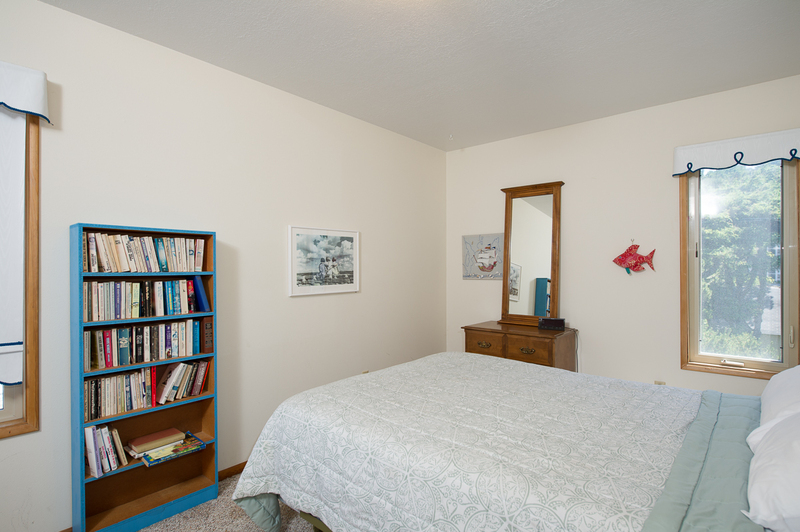 Please note that these two bedroom areas do not have a door between them, as this is an open floor plan layout. 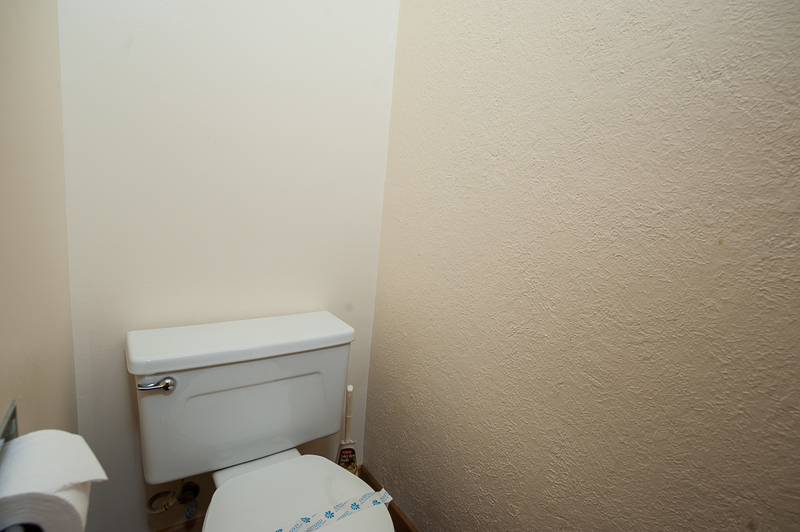 There is also a shared bathroom on this floor for these rooms. 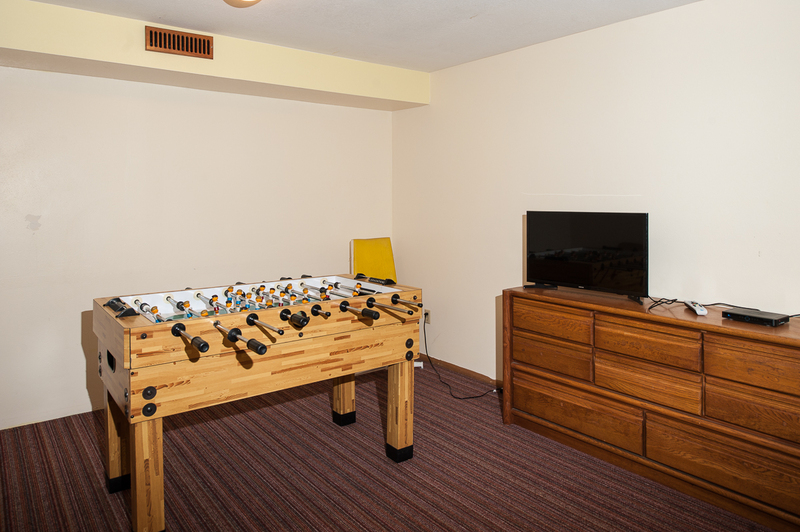 Travel downstairs to the bottom level, and you'll find a bonus area with a foosball table and a large flat screen TV. 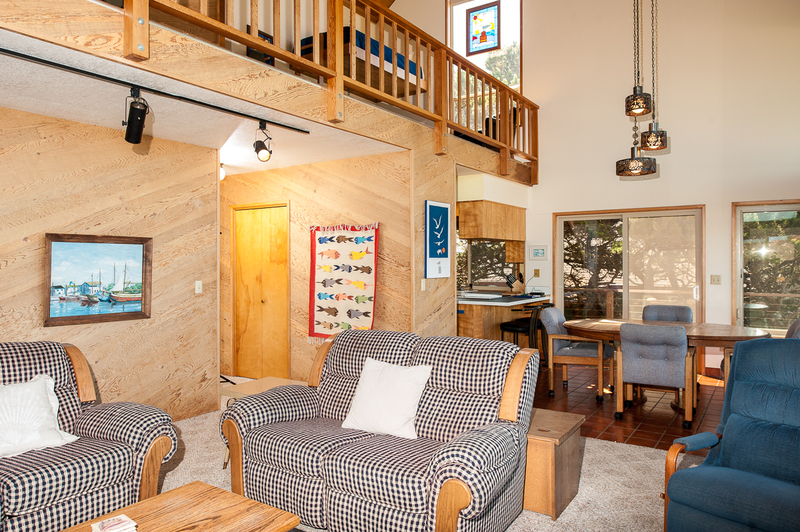 This area is perfect for the kids or the entire family during those rainy Oregon days. 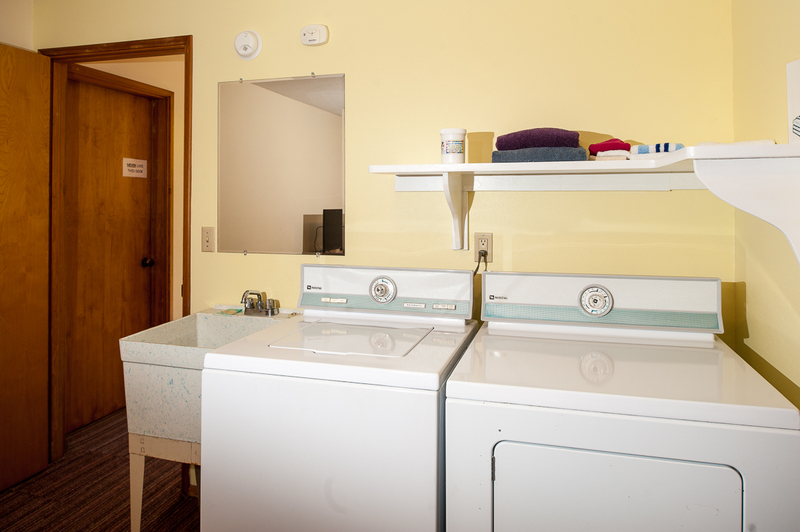 You'll also find a half bath along with a washer and dryer down here. The garage offers parking for one vehicle. You'll find beach access a couple of blocks away down a long flight of stairs. If this is too steep for your family, please note that Lincoln City offers several beach access points all throughout the city. An easy and fun place to see the Pacific is from the Siletz Bay, located in the Taft district at the south end of Lincoln City. You'll also find plenty of restaurants and things to do in this area of town. 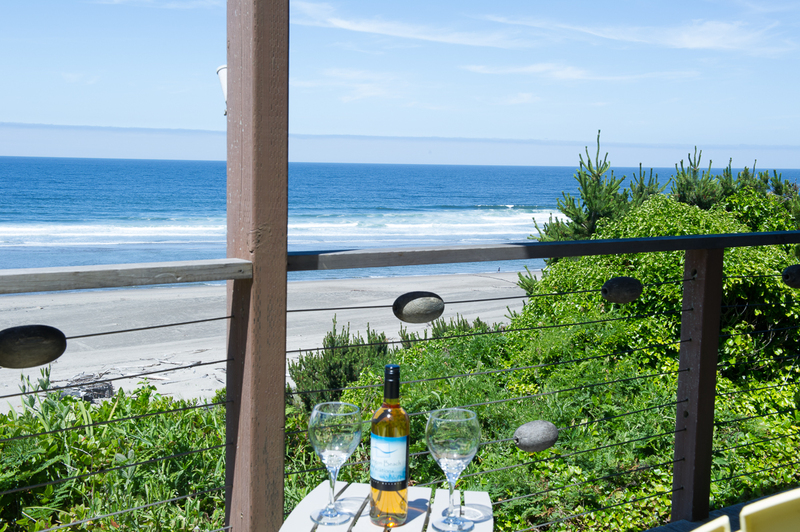 Book your stay today at RidgeTop with Oregon Beach Vacations! "We were completely blown away when we walked in! It was perfect! The view was absolutely gorgeous and it was perfect for our group! We celebrated my birthday and my boyfriend's first Father's Day and could not have been happier! Thank you so much!!" "Hello Leandra, Thank you for your review. We are glad to hear that you had a great stay at RidgeTop! It sounds like this home was the perfect place to celebrate so many wonderful occasions at one time! We hope to have you stay with us again in the future!" "Hello Barbara, Thank you for your review. We are so pleased to hear that you had an amazing stay at RidgeTop! We hope to have you stay with us again soon in the near future!" "We had a wonderful time looking out at the most fabulous view. Everything was comfy and every bed had a view! We saw lots of whale spouts and it was fun looking for them. Also a great base for day trips to parks and lighthouses. One small note, if anyone with you is not very spry...there are many steps to climb but worth it for the view." "Hello Jan, Thank you for your review. We are glad to hear that you enjoyed your stay at RidgeTop! 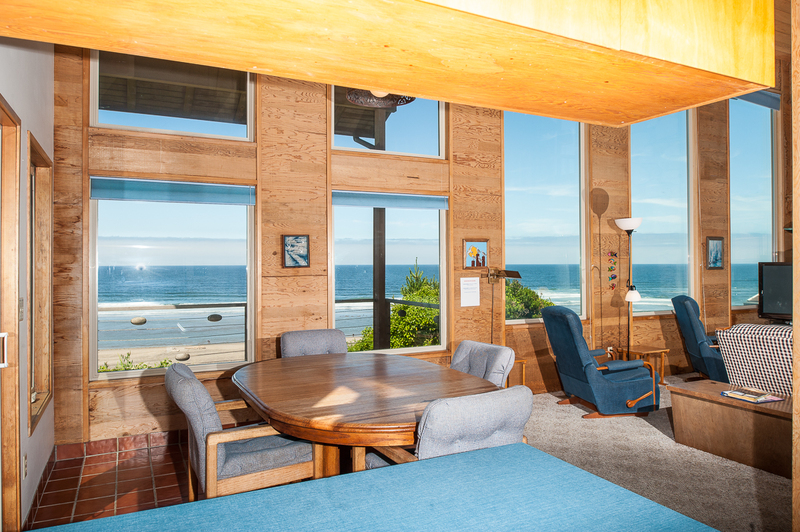 We are happy you were able to spot lots of whales from the windows here, and we hope to have you stay with us again soon for another fun beach getaway!" "Besides a great view, the place was comfortable and quiet. There was easy beach access down the road a few blocks, but with many stairs down so folks who don't like stairs would need to drive down to the nearby bay and access that way. 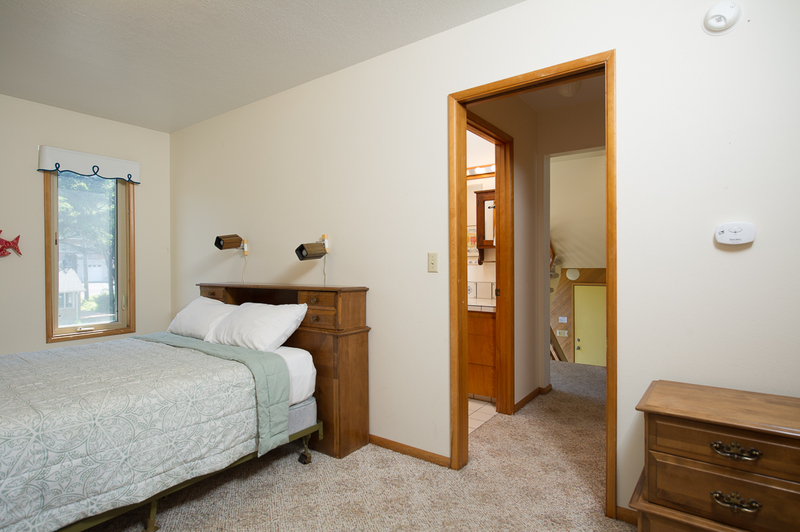 The beds were all comfortable but the are no doors on the upstairs bedrooms; it is open loft with a room divider. We didn't mind. Again great views. Finally, there was easy access to shopping. We really enjoyed the place. " "Hello Jessica, Thank you for your review. We are glad that you enjoyed your time spent at the RidgeTop! We hope this means we'll be seeing you again soon on the Oregon coast for another relaxing getaway! Thank you again for your review." "Had a wonderful stay with my family...Great accomodations, everything was clean and this home was well-stocked and ready for our stay. " "Had a wonderful time as weather was warmer than usual and little rain after the check in day. 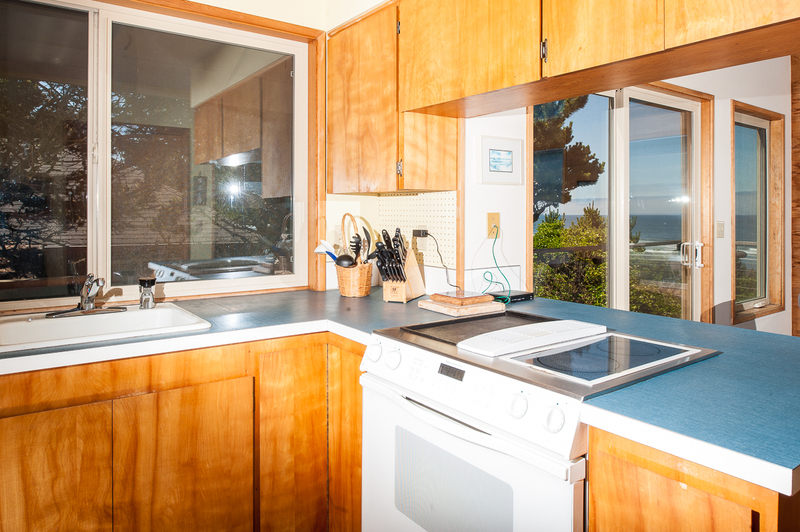 The house had excellent views and an easy drive for beach walking." "Hello Stan, Thank you for your review. We are glad to hear that you enjoyed your stay at RidgeTop! We hope to see you back again soon on the Oregon coast, maybe during the summer months when there is little to no rain and plenty of sunshine! Thank you again for your review." "We split this house with friends. In all we had 4 adults and 5 children. The house was amazing the pictures don't even begin to show you how breath taking the views really are. We had more than enough space for everyone and then some. The beach access you walked to was really hard on us with how steep the stairs we're and having little kids. Thanks close access that you drive to was great. I can't think of anything to complain about it was all great and we had an amazing vacation. 7 of the 9 of us had never seen the ocean which this house more than gave us what we were looking for." "Hello Piper, Thank you for your review. We are glad to see that you enjoyed your stay at RidgeTop! It sounds like this home was more than adequate for you and your family. We are glad you finally got to experience the beach and ocean! Thank you again for your review, and we hope to see you all back again soon." "Hello Debra, Thank you for your review. We are glad to hear that you enjoyed your stay at RidgeTop. We are happy that your pups were able to come out with you. We see that you wouldn't recommend this property to others. We hope that's just because you want to keep it all for yourself! We hope to have you stay with us again, maybe during the summer when the weather is nicer!" 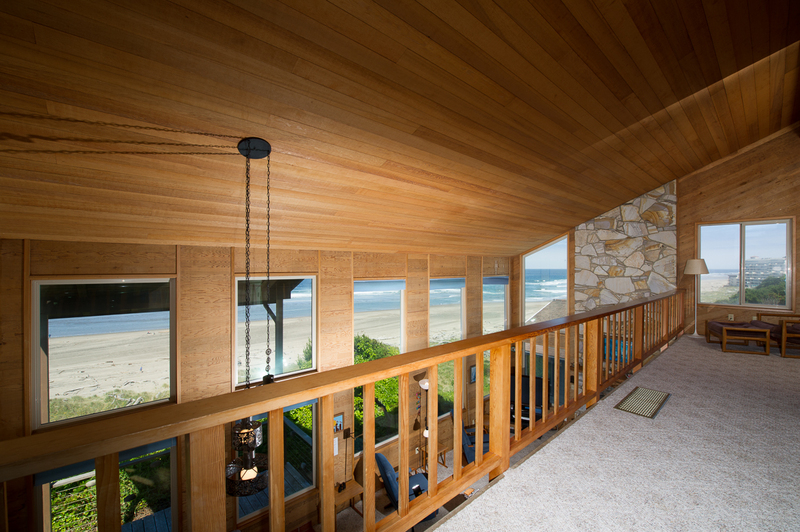 "Beautiful view of the beach, lovely deck, not too far to beach access, and a beautiful home." "Hello Stacey, Thank you for your review. We are glad to see that you enjoyed your stay at RidgeTop! We hope this means you'll be back again soon for another wonderful getaway!" "Hello Cheryl, Thank you for your review. We are pleased to hear that you enjoyed your stay at RidgeTop. 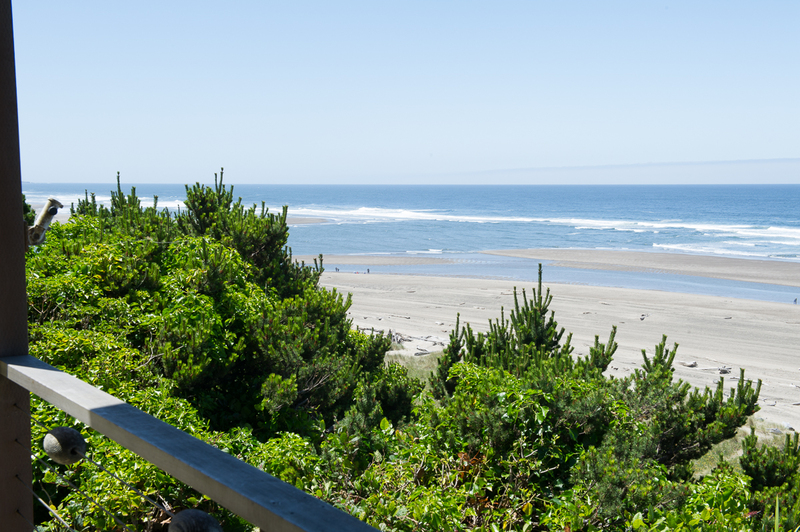 We are looking forward to having you stay with us again soon on the Oregon coast. We are sorry to hear that the toilets were not flushing during your stay. We hope that maintenance was able to come out and resolve this for you. Thank you again for your review." "Our vacation was wonderful. Very beautiful view from most of the home. " "We are glad to hear you have enjoyed your time with us, we look forward to seeing you again. Melissa"
Wonderful place to escape to! "Hello Colleen, Thank you for your review. We are so happy to hear that you had a wonderful visit at RidgeTop! We hope to have you back again soon!" "This home was a wonderful place to stay. It was a girls weekend and there was plenty of space for the 4 of us along with 2 dogs. 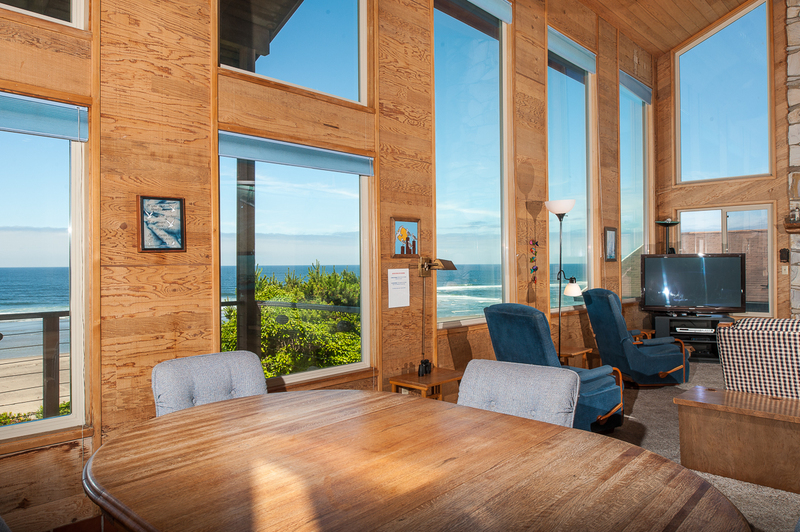 The home had incredible views of the ocean and with some turning of the chairs we were able to sit in front of the windows and relax while watching the ocean. The home was clean and had everything we could possibly need. We did some meal preparation of our own and the kitchen was more than adequate. Overall, we had a great 3 days and would definitely come back again." "Hello Kemberlea, Thank you for your review. We are glad to read that you and your friends had an amazing getaway together at RidgeTop! We can't wait to host you all again on the Oregon coast in the near future! Thank you again for your review!" "This looks like a luxurious place, and with some updating it could be. I arrived for a 6 night stay, and the location is wonderful! The top bunk was not made and had to call for some linnens for it, and by the next day realized there were a number of maintenance issues. The tracks for sliding door to deck were very dirty, and did not work well & then the screen door came off. I did call and they were responsive, and the maintenance man was very nice, and said he needed to order parts for the sliding door, as well as the shower doors upstairs and main level, and for the main bedroom window shade that came completely unrolled, (so usesless for adjusting for daylight and nightime). He replaced a lightbulb that was out on a landing. The grout in both showers was rather nasty and combined with shower doors really hard to move, it was quite an unnecessary inconvenience.One other item: It seemed unsafe in the upper loft area. The bunk beds which did look really cool on chains, had no guards against rolling out of bed in ones sleep, so seemed a hazard for the upper bunk for my 11 y.o nephew who said he was less likely to move than his twin sister, and offered to take the upper bunk, but we still tried to arrange furniture and padding just in case. The loft bedroom did not have a screen on the window, and seemed low and unsafe for some, as well as the loft rail in general.Despite time spent on all of this, and only a couple corrections while we were actually there, the location and views were spectacular. 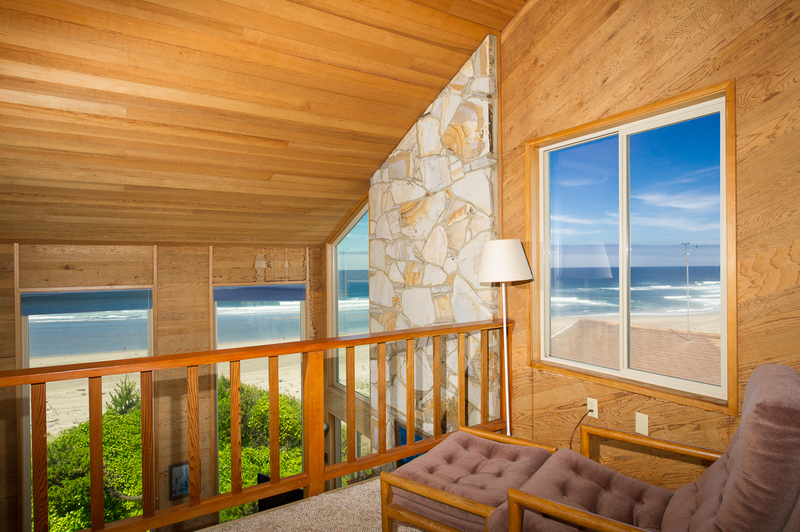 We all enjoyed the beach, the views from deck and house, especially after we realized a hose provided from outside made a major difference as windows looked grungy on arrival. We enjoyed some great puzzles provided, and nearby eateries. The twins had fun with foosball as well. We would hope to stay there again sometime with minor updates that would make a big difference!Would suggest your cleaning people give you more feedback before guests arrive! " 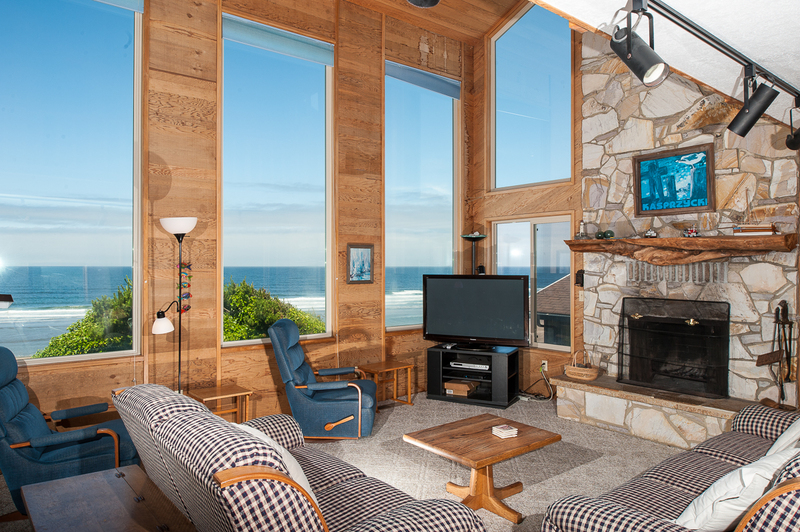 "We wanted to be right by the ocean and this certainly fit the bill. It was a short walk to the beach and that was lovely. We would recommend changing the carpet as there is a distance smell in the location. We would have also loved a way to heat up water in a tea kettle or something rather than a pot. If you have a bad back, bring support as the main bed and most of the furniture does not provide a great deal of support. Having said all fo that, we got exactly what we wanted with the amazing view." "We are happy to hear you enjoyed your stay with us! Thank you for your feedback, as we are always working to improve things for our guests. We hope you stay with us again for your next coastal getaway." "Although it rained nearly our entire stay, just seeing the beautiful view was a pleasure. The home was clean and comfortable. THe location is great. For those who have pets, there is virtually no yard for them to be able to do their business so you will need to walk them around. " "Hello Carolyn, we are glad to hear you enjoyed your stay with us! Please come back and visit soon. " "Kathren, thank you for taking time to send in your review. We enjoy hearing our guest enjoy the home they chose to visit. We do hope you and your guest made memories you can share for years to come with friends and family. Again, Kathren thank you and we would enjoy hearing from you to assist in planning your next coastal getaway. " "The house location was great and I loved the view but when we got there the home was dirty and they had not cleaned it. The beds still had the dirty sheets on and some sheets were left piled up on the corner by the front door.there was no toilet paper or clean towels Either. I called customer service and they told me they would try to resolve this problem and they would call me back. After 10 minutes someone called me back and said that the cleaners would get there in 45 minutes. The lady got there to clean the house and after an hr and a half the house was clean. She restocked the toilet paper and made beds and gave us clean towels. This was a horrible 1st day there but we enjoyed the rest of the days we were there." "Hello Lizeth, Thank you for your review. We are glad to hear that you enjoyed your stay at RidgeTop. We are, however, sorry to hear that you arrived to a dirty unit. We are glad that the cleaner was able to get out there as soon as possible and clean the unit for you. We hope to see you back again soon on the Oregon coast!" 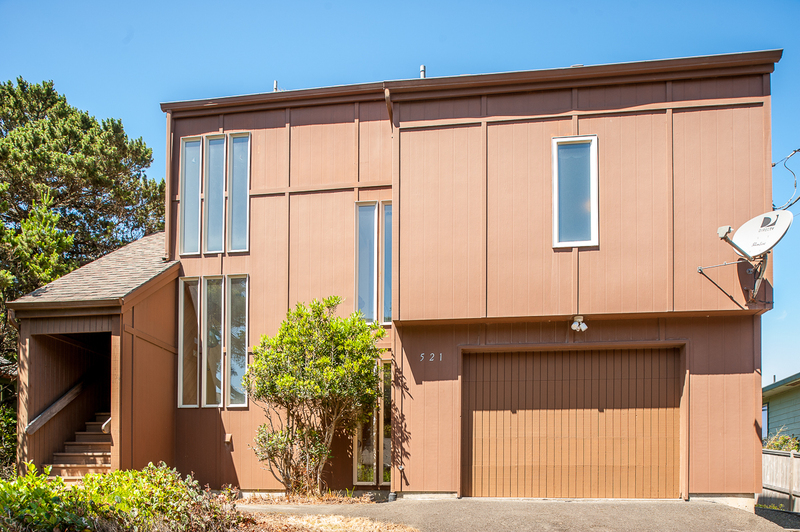 "Located in a nice neighborhood with an easy walk to the beach. Great view with whale spouts visible. " "Hello Shane, Thank you for your review. We are glad to see that you enjoyed your stay at RidgeTop! We hope to see you back again soon on the Oregon coast." 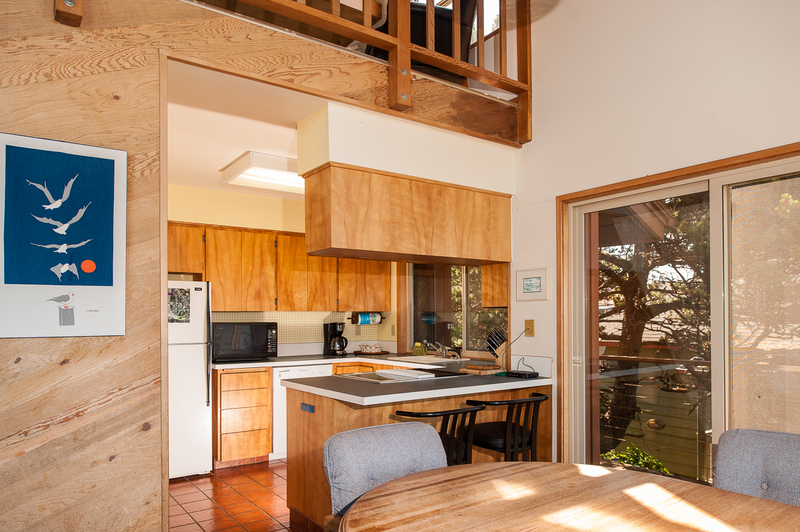 "We decided at that last minute to spend a few days down in Lincoln City and we came across the Ridge Top house, the description was accurate; spacious, plenty of room for 5-6 people with views from every room fantastic!! This is a place I would booked again easily "
"Hello Jay, Thank you for your review. We are glad to hear that you enjoyed your stay at RidgeTop. We are glad that you loved the house you chose last minute. We look forward to having you stay with us again in the future." "It was great and very close to advertised. Not happy with the dryer which didn't heat. Called for maintenance, never saw anyone look at it. Hopefully they will have it fixed for the next guest. The fan near the stove also didn't work.The dishwasher was not firmly attached. 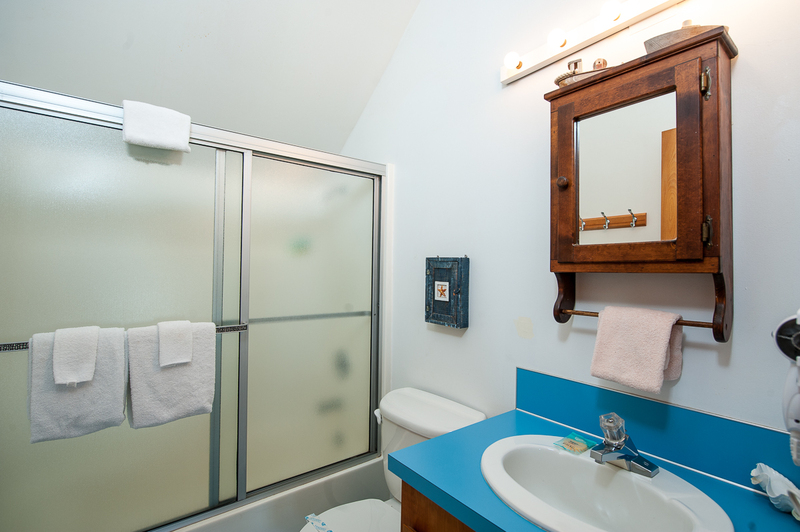 Otherwise clean, plenty of towels,lots of hot water great views, very pleasant.Enjoyed the beach and aquarium and look out spots and hikes. " "Hello Colleen, Thank you for your review. We are pleased to see that you enjoyed your overall stay at RidgeTop! We are sorry for the maintenance issues you experienced within the home. We will have maintenance look into these and have them resolved for our future guests. We are sorry we did not have them fixed for you during your stay. We hope to have you back again soon on the Oregon coast. Thank you again for your review." "The stat at Ridge Top was fine. The property was clean. The view was great. The stair were a bit much. We are all older and it was tough carrying our things in. We have stayed in several vacation homes on the coast, and all of them had better tv. We usually have the music stations running, but this property did not have any. We also like to watch sports and your package did not include anything except the what the major networks carry. We did have a good time remembering our dear friend. We love this area and have stayed on both sides of Ridge Top. " "Hello Virginia, Thank you for your review. We are glad that you were able to honor and remember your friend at RidgeTop. 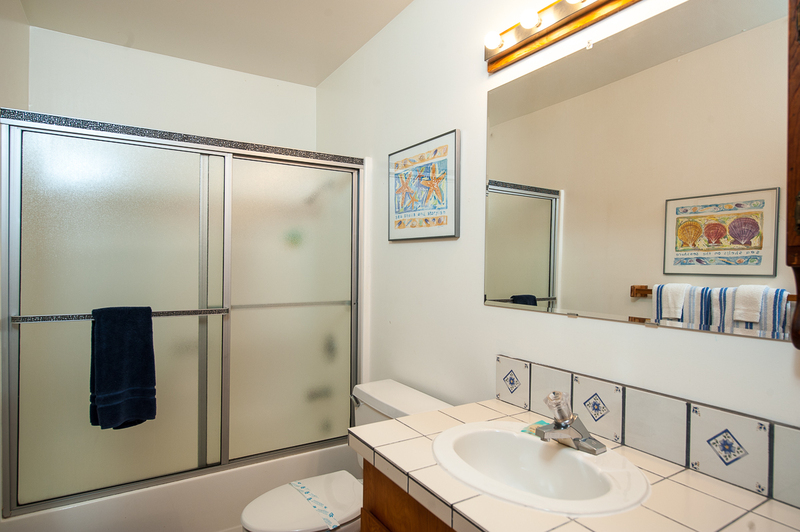 We are sorry that some of the amenities were not included at this particular home, but we do have many other homes that may offer what you are looking for. If you ever need more detailed information on a home, please feel free to send an email or call one of our reservation agents so that they can find the perfect home for you and your friends. We hope to have you back again soon. Thank you again for your review."